Just in time for Halloween, an infographic with some pretty telling stats about the future and current state of our workforce. Is your organization ready for these changes? Do you have a plan to develop the new talent and leaders you’ll need to push forward in the future? 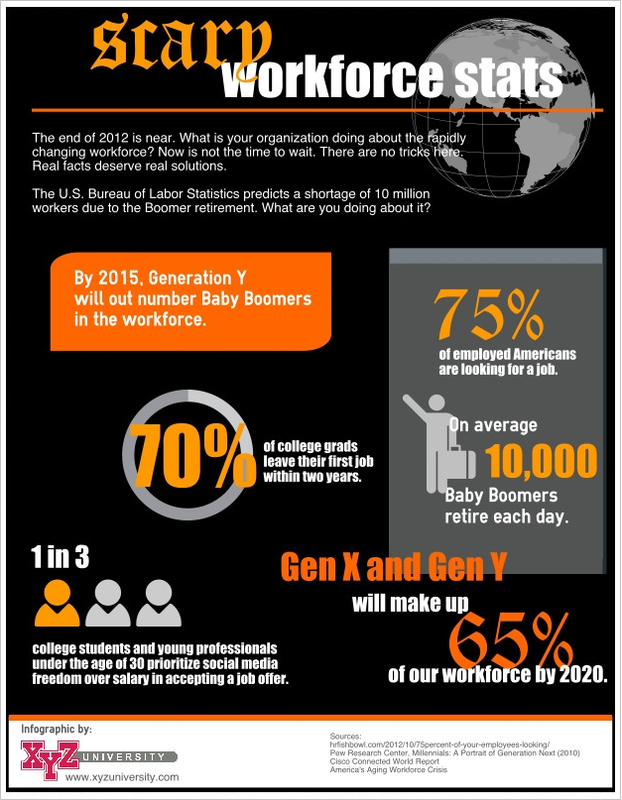 Just in time for Halloween, an infographic with some pretty telling stats about the future and current state of our workforce. Is your organization ready for these changes? Do you have a plan to develop the new talent and leaders you’ll need to push forward in the future? Share your comments about these stats and your plans in our comments area, below.